Illuminating the hard work, sacrifice and success of our fathers and our families. 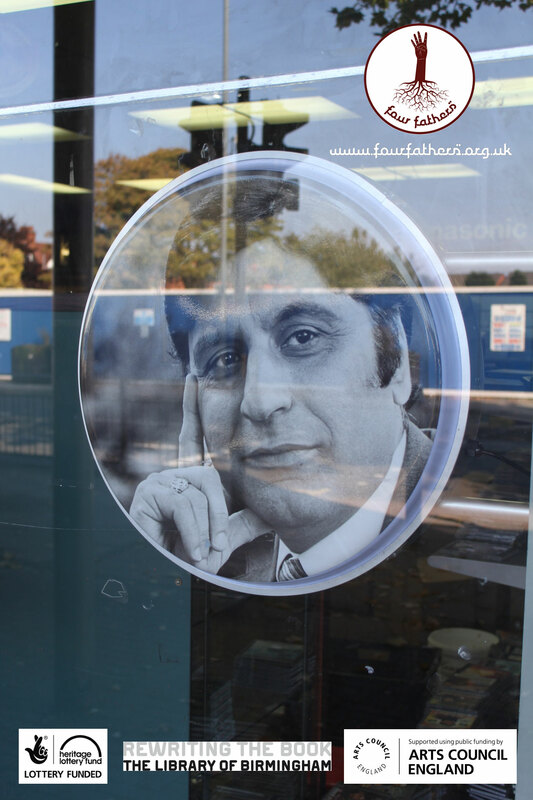 The F.light arts project shines a spotlight on individuals of South Asian descent that have lived and worked in Birmingham. 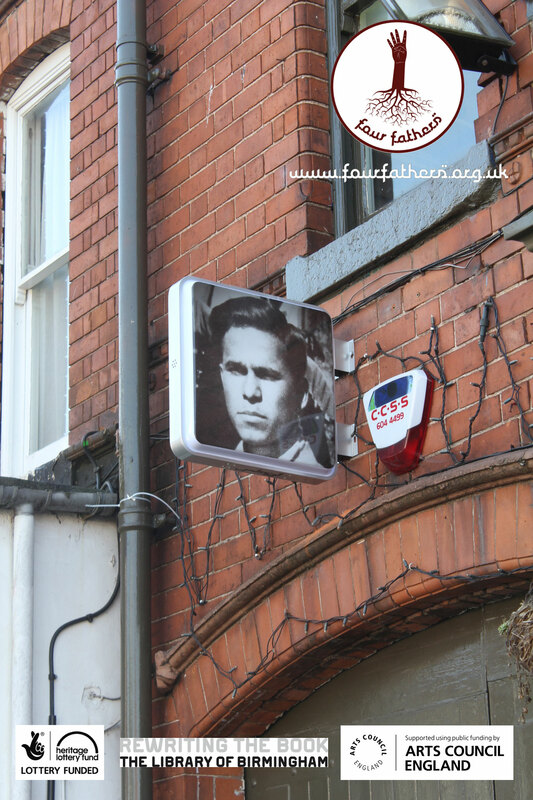 Six lightboxes/signs have been placed in 6 different locations in Birmingham with portraits of individuals, celebrating some of those faces that are unknown/known. The project gives the public a glimpse of who they were, and what their lives were about. Some have connections to the establishments they’re placed outside of – and some are of people who worked tirelessly for their families and for society at large. 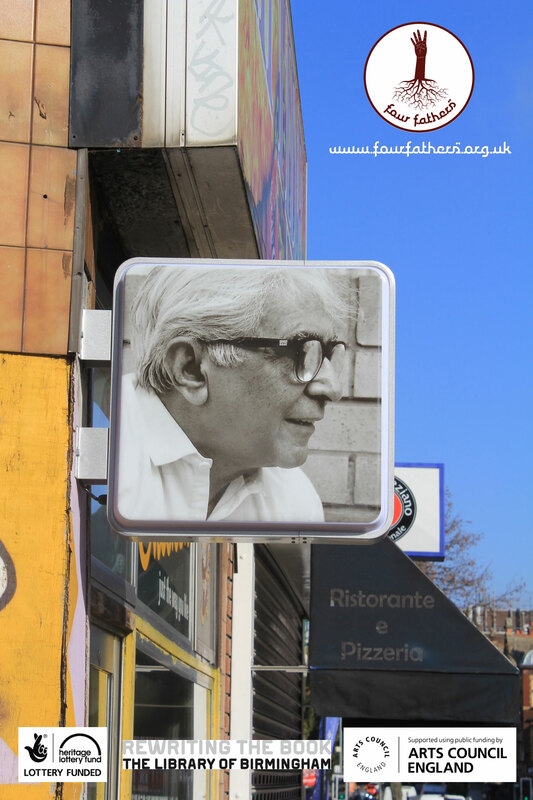 The F.light arts project is a response to the work of a Heritage Lottery Funded project from last year called Four Fathers. 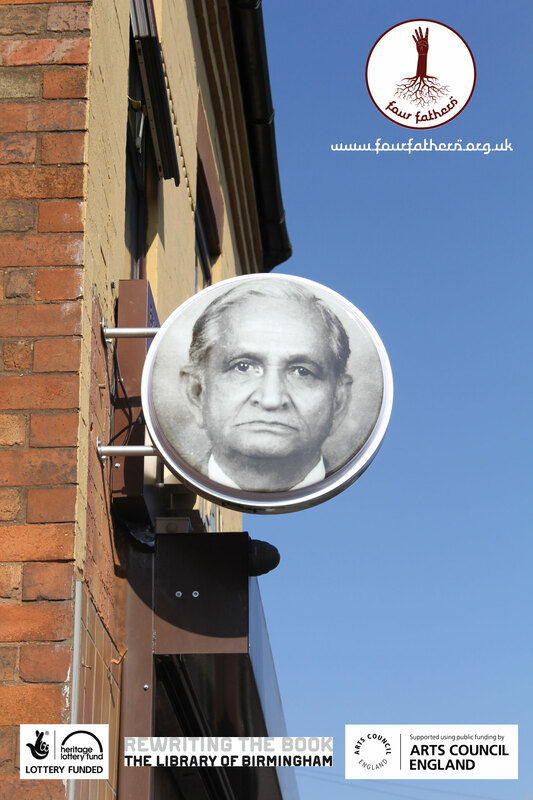 Four Fathers looked at the inter-generational relationships of South Asian men over the last 4 generations. How fathers and sons and grandsons differed from each other and how some traditions were kept, changed or forgotten. 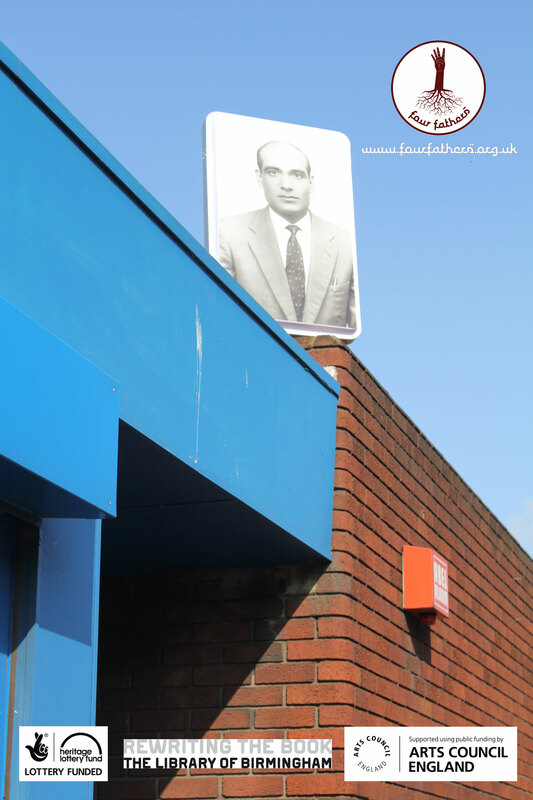 The Four Fathers exhibition is currently exhibited in the New Library in Birmingham till the 31st October, 2014. Faisal Hussain is an artist based in Birmingham.